Shannon and Toby are left to look after the farm for a couple of hours while their parents go into town. A long drought has made life on the farm very difficult, and they have had to sell the sheep. At least they have been able to keep the horses. Suddenly, Shannon realises she might not have shut the gate to the horse’ paddock this morning. 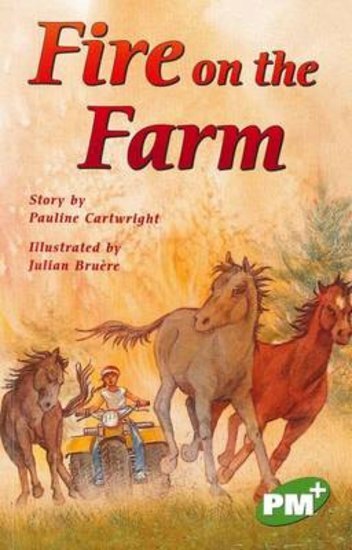 Before she can check, a fire breaks out on the farm. Help is on the way, but Shannon wants to rescue the horses. This might be the one time when leaving a gate open on a farm is a good thing!